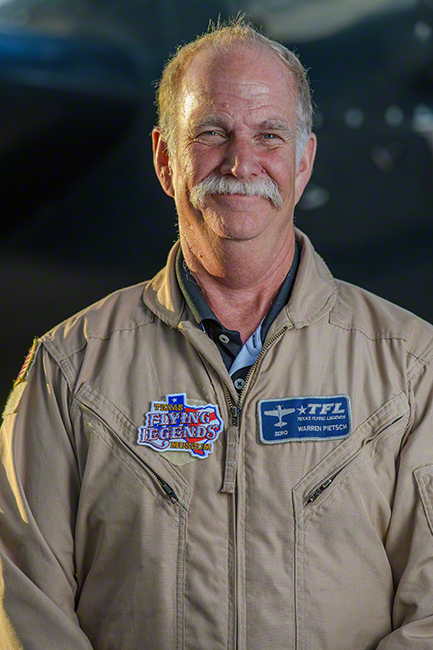 Warren began flying at a young age and soloed on his 16th birthday. He continued obtaining his certificates to fly charter for the family business with his father Al Pietsch. In 1980, after restoration of his T-Craft, Warren joined his father and brother, Kent, in the Air Show industry, performing at shows across the U.S. and Canada. In addition to flying Air Shows, Warren was a captain for a major airline for 20 years, flying Lockheed 1011, B-727, and B-737’s worldwide. Warren has accumulated over 30,000+ hours of flight time in aircraft ranging from gliders, J-3 Cubs, antique aircraft and vintage WWII aircraft. 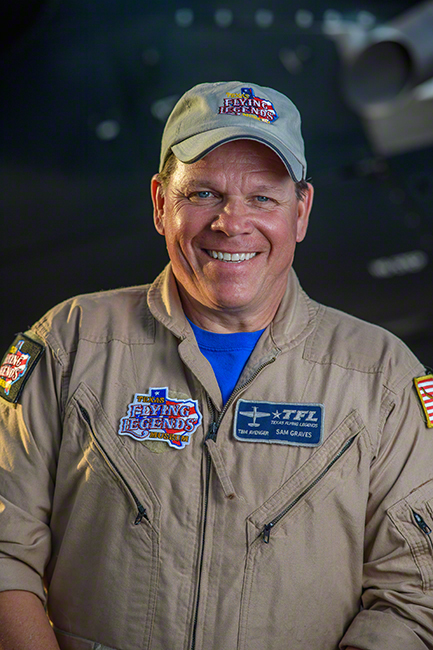 He is qualified for aerobatics in numerous aircraft, including the P-51 Mustang. 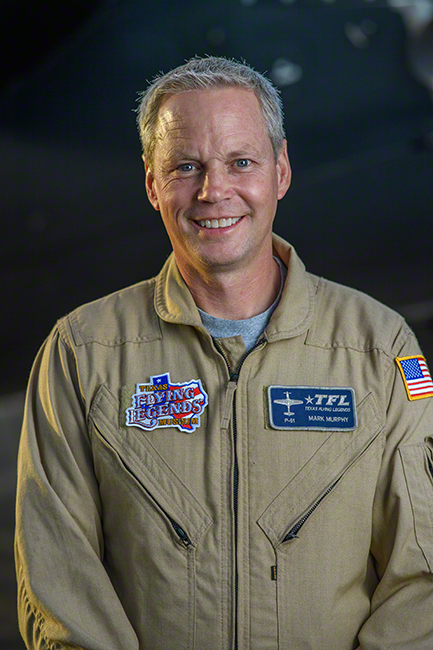 Warren is also qualified for formation aerobatics and is an Aerobatic Competency Evaluator (ACE) for ICAS. Warren and his brother, Kent, are honorary Canadian Snowbirds and they were the proud recipients of the Bill Barber Showmanship Award at Oshkosh, WI in 2005. Warren continues to operate the family business his father began in 1957. Pietsch Aircraft Restoration & Repair/dba Minot Aero Center is located in Minot, ND. They offer flight instruction, including both glider and power aircraft. 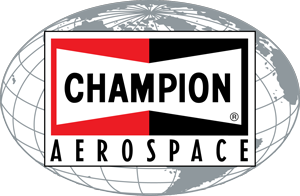 The shop crew remains busy rebuilding several antique aircraft, maintaining customer aircraft, and performing engine work. Warren and his wife, Jolene, have two children and make their home in the country, southeast of Minot. Bernie became fascinated with flight as a young boy. Riding his bike to the local airport, he befriended Steve Seghetti who had a P-51. “He opened his hangar up and I never left! From the first time he let me sit in the P-51 I was hooked! I told him someday I’m going to fly one.” So, at the age of 11, Bernie worked at the local glider port, trading hours for glider lessons. Eventually he went looking for the same trade at the airport and was given the job of fuel boy. He earned enough hours of flight time to receive his private license and soloed on his 16th birthday, when most of his friends were just learning how to drive a car. As he branched out in the industry, he restored aircraft from the ground up for Sanders Aircraft in Ione, CA and specialized in tube and fabric repairs. Now he does all his own fabric work and owns White’s Aircraft Restoration in Isleton, CA. Alan grew up in Hawaii, and his father taught him to fly and soloed him on his 16th birthday at NAS Barbers Point. He has instructed, flown tours and night freight, and currently flies for a major airline. 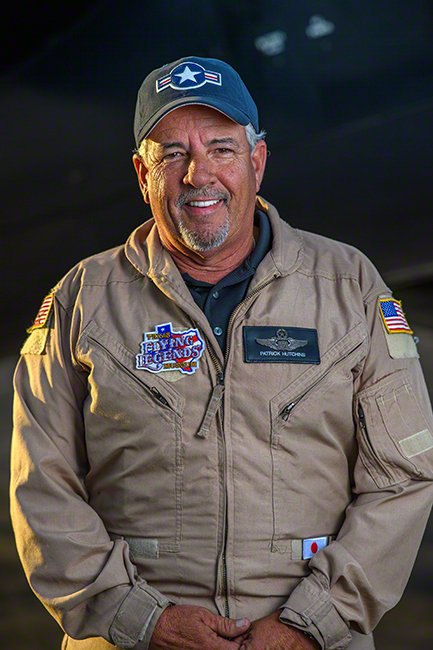 He still enjoys basic flight instructing, is a FAA Pilot Examiner, and has a small truck top landing and comedy act, Miller’s Mach 4 Mayday. Alan’s father, Bill, and one of his three sons, “little Alan,” occasionally fly copilot on Betty’s Dream. The three Miller generations are honored to fly for TFLM as a historical tribute to those veterans that gave so much to protect our freedom. Working for his father, Casey was involved with aviation at a very young age. His first solo was at 16 and he started flying P-51D Mustangs at 21. Since then he has logged nearly 3,000 hours in nearly everything from an Aeronca Champ to a Douglas DC-3. He has been building and maintaining WWII aircraft since high school and is currently restoring a North American P-51D Mustang. Casey is 32 years old and along with his wife, Hilary, lives and works in the small town of Kindred, North Dakota, where they grew up. 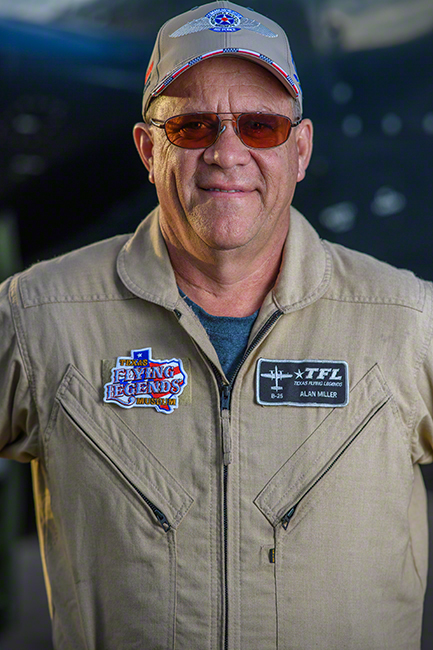 Mark began flying with his father at a very early age and received his pilot’s license at the age of 17. He inherited his passion for flying naturally. His father, David, owns a 4,000 foot grass strip in Upstate New York where 6 of his family members fly. 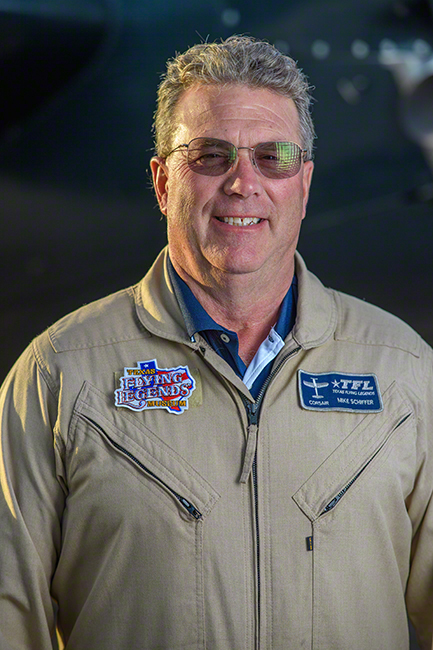 A flight instructor, specializing in T-6 and P-51 checkouts, Mark holds ATP, A&P, multi-engine and helicopter licenses. He flies airshows in the P-51D Mustang “Never Miss” (Warbird Digest, March 2010) and as a volunteer for the Collings Foundation Wings of Freedom Tour, he pilots “Betty Jane” a P-51C. With over 5,000 hours of flight time in 77 different types of aircraft, including an L-4 Cub, the P-51 Mustang is still his favorite plane to fly (over 700 hours). He has type ratings in the TBM Avenger, P-51 Mustang, B-25, T-28 Trojan, and the L-39 Albatross. SIC in the DC-3 and B-24 Liberator. 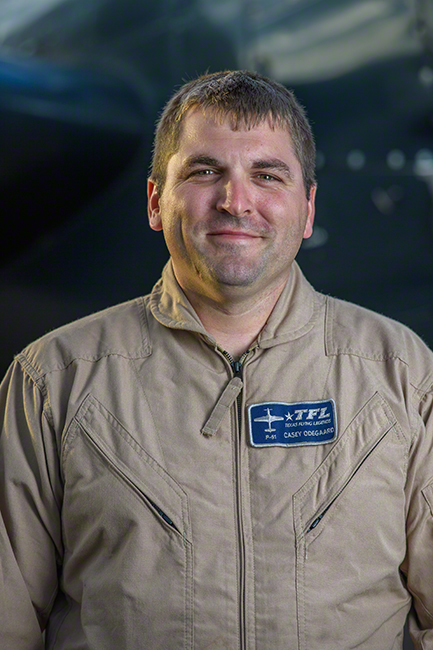 Michael Schiffer’s father, Patrick, was a contract flight instructor for the Air Force training pilots in T-6s and T-28s and finished his career as a flight instructor at Western Michigan University. Patrick instilled his love of flying in all four of his children (two girls and two boys) and all soloed on their 16th birthdays. After earning a B.S. in Mechanical Engineering, Michael joined his brother Albert to build an Aerial Application Business that annually works with County, State and Federal Agencies from South Carolina to Minnesota, protecting the public’s health, food and forests. Mike has pursued his love of flying, compiling over 22,000 hours, nearly all in “tail draggers.” Regularly flying his Stearman and North American AT-6 maintains his currency to safely fly the P-51 Mustang, Grumman F6F Hellcat, Grumman Wildcat, Chance Vought F4U Corsair, T-28 Trojan, Lockheed T-33 T-Bird, and L-39 Albatross. His engineering degree, A&P license, and thousands of hours of flying time behind radial engines helps him demonstrate the capabilities of the warbirds he flies while treating them with the gentle respect they deserve. Following in his father’s footsteps, Mike helped both of his children solo on their 16th birthdays, in the same J-5 Cub that his brother and sister soloed. Both kids (Carly and Patrick) still love to fly. Carly is a government service engineer working for the Navy. His son Patrick is in the New Jersey Air National Guard and working his way through the Air Force flight-training pipeline. Amazingly, his wife Kathryn will crawl into the backseat of anything Mike flies (that has a back seat) to fly around the country and always emerges with a big smile! 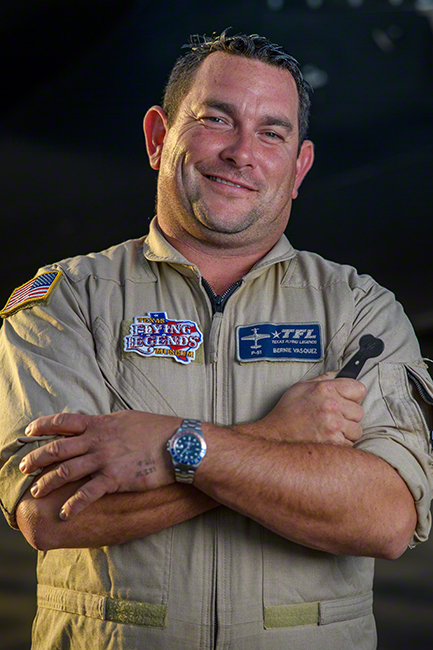 Mike knows that flying with the TFLM is an honor and a privilege, both because of their mission to honor the veterans, and because the quality of the other pilots is extraordinary. Sam Graves started flying when he was 16 years old while hanging out at the local airport with his brother. “We would pump gas and wash planes, anything to get a plane ride.” Sam has his commercial license and ATP. He has logged over 3,700 hours with ratings in single-engine land, single-engine sea and multi-engine land. Sam is also type rated in the P-40 and TBM Avenger. Sam currently is a Member of Congress, representing Missouri’s sixth Congressional District and sits on the Transportation Committee and the Armed Services Committee. He also serves as the Chairman of the General Aviation Caucus and the Pilot’s Caucus. Sam’s passion for flying also includes restoring a rare 1942 Beech AT-10 to flying condition. This is the same plane that he and his brother would play in as young kids in the back yard and fell in love with aviation. Sam has three children and resides in Tarkio, Missouri. Patrick grew up with an interest in flying because of his Father Charles. A few weeks before his 16th birthday he started taking flying lessons in Texas City TX and soloed on his 16th birthday. He also worked with a glider company at Clover Field in Pearland TX for free lessons and had his first solo flight of a Schweizer 233 glider at 17. Patrick Joined the Confederate Air Force at 18. Many years in about 20 different kinds of aircraft led him to follow his Fathers airshow interest. He acquired North American T-6 time to start the qualification process to fly with the Commemorative Air Force’s Tora Tora Tora squadron. He spent 2 years of banner towing around Houston to build enough time to fly a CAF airplane in air shows. After acquiring his commercial license and Formation card, he began flying with Tora in 2003. He has over 2200 hours of flight time with over 1200 of those hours logged in the T-6. Patrick earned his instrument rating in 2010. Patrick is in outside sales for a family ran machining and fabrication company south of Houston TX, employed there since 1983. 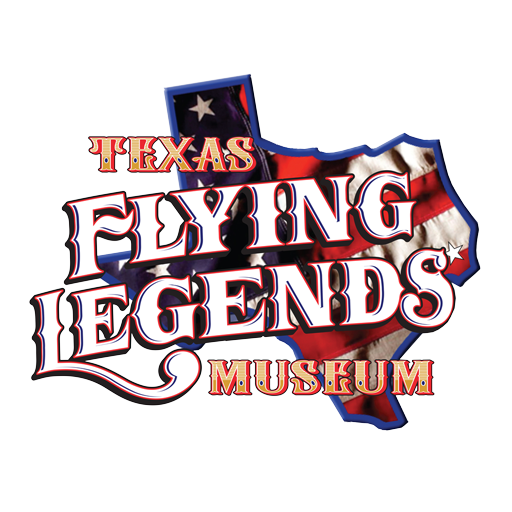 Mr. Hutchins is greatly honored to be invited to share the mission of Texas Flying Legends Museum.